One of the challenges of an Agile Coach, or anyone in a management or leadership role is establishing what I have seen referred to as the “zone of acceptance” for individual team members. The Zone of Acceptance is a term for the tasks an individual sees as something they are prepared to do as part of their job. This can relate to tasks, overtime, meeting attendance and more. In a traditional model where work is explicitly assigned, this took the form of a team member saying “that’s not my job” when asked to do something on the periphery of their role. E.g. being asked to write documentation or attend a meeting outside core hours. This is a direct confrontation that can be handled directly, the team member can be coached to broaden the scope of their ‘zone of acceptance’ and have it explained that sometimes responsibilities extend beyond core hours and core responsibilities. However, when you move to agile it becomes much harder to deal with. We introduce the concept of self-management and self-organization, there is no longer an external person pushing you to extend your boundaries. What is my Zone of Acceptance? In my house I will sometimes come home to find the kitchen bin full or overflowing, if I ask why it has been left like that my wife will in a ‘matter of fact’ tone reply – “That’s your job!” I don’t doubt that it is, at some point we agreed a division of responsibilities – , the responsibility is clear. But conversely my behavior in a different situation is far harder to manage. My wife may ask me to change our child’s nappy (or diaper as my wife calls it), I will generally willingly comply, but I rarely volunteer. I would never say it is not my job, but by subtly avoiding doing it I am implicitly saying that. She can ask on a regular basis but that in itself undermines the equality and self-organizing nature of marriage, she shouldn’t need to ask. We have an understanding that generally works and in this case the reality is that she is not asking me to take the responsibility, nor is she demanding assistance, but my help is certainly appreciated. What I need is to broaden my ‘zone of acceptance’ and to be more proactive in my support. We are a team. 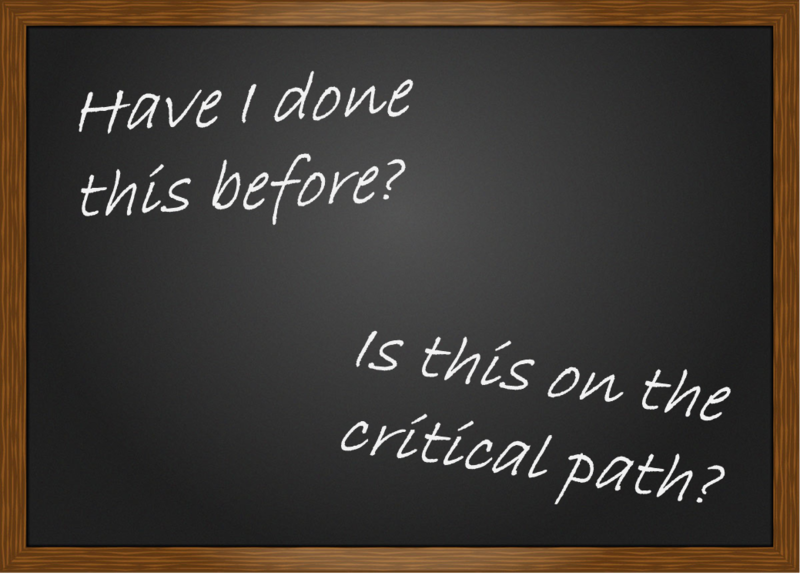 The same becomes true in an Agile team, if I were to hear someone say ‘that’s not my job’ or “I’ll hand that over the wall to a tester” or similar comments, they can be directly challenged, and the coach or the other team members can act accordingly. But far more common is seeing the team members forming natural silos for work, an often agreed line in the sand where work is divided and not challenged. They will avoid tasks they are not interested in or don’t see as their role, find excuses for working on tasks they see as theirs and in some extreme cases work on something outside the board to avoid picking up a card that doesn’t fall into their zone of acceptance. This behavior may not even be visible, a team can actually become very productive in the short-term by forming mini-silos, but that doesn’t make it right or healthy in the long run. I see the role of a Coach (or any Agile minded team member) to challenge these silos, to encourage team members to broaden their zone of acceptance, and to get the team to inwardly think that it is their responsibility to get involved in Story writing, and coding and testing and to be active in all meetings, to volunteer to write documentation and present the Demo, and to challenge those that don’t become active members of the team. “But I’m a tester I don’t know how to code” – is a common argument. My response – “So what!” a lot of coders I know would benefit very much from having a tester on their shoulder asking if they had considered this case or that case, challenging the use of TDD and actively engaging in what and why things are being coded even if they don’t understand the code syntax itself. And perhaps more controversially the opposite is true, having a developer sit on the shoulder of a tester and see what and how and why certain tests are performed can help improve the way a developer writes code. I think we can make passable testers of most developers and vice versa, teams should want to challenge boundaries. In the long term I’d suggest those roles should become indistinguishable from each other and in an ideal world they would be one and the same – a team member who would do what they could and what was needed. By this I am by no means suggesting that we create a team of jack of all trades – I am actually very much against that, expertise should be encouraged and my view is that testing; coding and design etc. are very different skills and expertise in each should be valued. But my view is that the comparison of skills needed to get a user story to ‘done’ will often form a huge amount of overlap and likely a combined involvement. 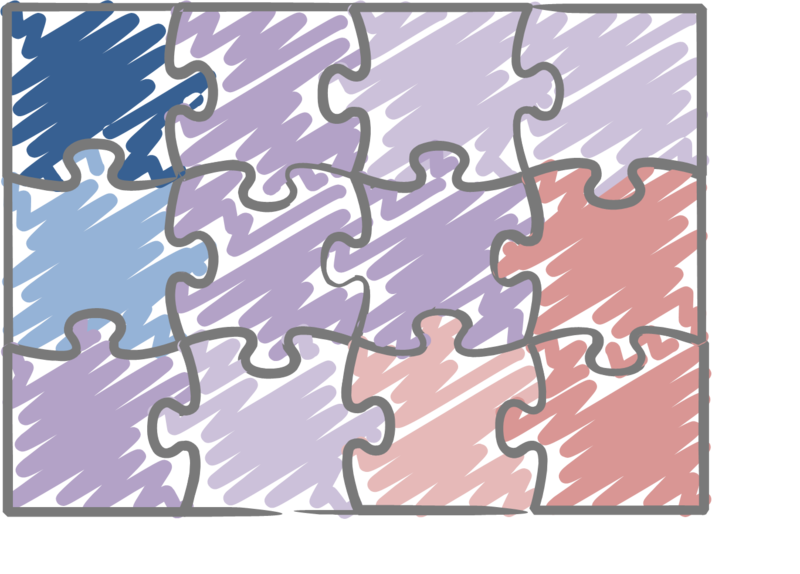 If each user story represents a piece in a puzzle, chances are that there are a few parts that will require a specialist in ‘Blue’ or expertise in ‘Red’ skills, but the majority of the work is shades of ‘purple’ something that does not require particular expertise and could be achieved by anyone on the team or through a mix of people. We often use edge cases as examples so we can dodge the normal cases, when we see that we should call it out. How do we expand the Zone of Acceptance? But now what? We understand the problem, we know it is hard to spot and hard to challenge, so how on earth do we expand the zone of acceptance? The first step is nearly always acknowledging there is a problem. Discuss it with the team – maybe as part of a retrospective and see if they recognize it as a problem too. Let the team find ways to solve the problem. Once they see themselves as a team it becomes easier as they will be seeking ways to help each other rather than looking for the easy way out for themselves. Secondly “Is this the next highest priority or am I taking an easy option? Some team members will cherry pick from the backlog rather than taking the highest priority item. By having a written reminder it can become a challenge at stand up. The team members can call out each other if they see either of these behaviors. This barely touches the surface of this particular problem, but there should be a desire by the individuals on a team to (sensibly) broaden their zone of acceptance, for the focus to shift from what is the next best(or easiest) task for me to what is the next best task for the team – and even better what is most valuable for the customer. And more significantly for this to be supported and encouraged by the team and the organization as a whole. Too often the organization rewards ‘star developers‘ rather than great team players, that message reinforces bad behavior and can be extremely corrosive to the organization over time. Previous Post Mindset or method?